This route introduces visitors to a kingdom rich in natural beauty and cultural heritage, where visitors are invited to explore and experience the many facets of a country filled with diverse environments and cultural unity. Swaziland provides a unique opportunity to experience a living culture, one where tradition is still very much alive and not a re-creation merely for tourists. Here, many local people dress in traditional attire as a matter of course. The Swazis have a distinctive, colourful national dress known as emahiya that is regularly worn by men, women and children. Different accessories and head-dresses are used, depending on the status and age of the individual, as well as the occasion. Though there has been an influx of Western ideas and goods in modern times, the old seems to sit easily alongside the new. Cultural heritage is still deeply rooted, with traditions carefully protected and sustained. Two major events in the traditional Swazi calendar are the incwala or kingship ceremony, and the umhlanga or reed dance. There is a good network of tarred roads across Swaziland, and most places frequented by tourists are easily accessible with family cars. However, places off the beaten track may require vehicles with higher clearance and, especially after heavy rains, a 4x4 may be preferable. Expect to find grazing cattle wherever you go and beware of cattle crossing the roads, particularly at night. 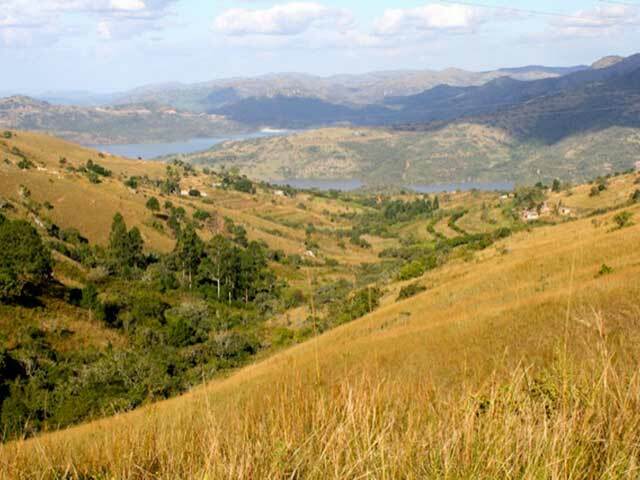 The Swaziland Route offers a variety of activities from hiking, horse riding, bird-watching and game-viewing to the more daring white-water rafting, caving and abseiling. For the less adventurous, there are plenty of alternatives, whether it's a quiet game of golf or a trip to a health spa. On the cultural front, Swaziland provides a unique opportunity to experience living African culture on a day-to-day basis. Special cultural highlights are the annual incwala (kingship) and umhlanga (reed dance) ceremonies. There are plenty of enterprising artists in Swaziland and many of the outlets on this route stock the creations of local crafters. Whether it''s weaving, pottery, wood carving, candle making or painting, here you''ll not only have the chance to make a purchase but you can also usually see the crafters at work too. It is also a place of wildness and natural beauty. There are numerous private and public nature reserves and game reserves in Swaziland, and several conservation initiatives have been set in motion to preserve the country’s rich natural heritage for future generations. Sibebe Rock in Pine Valley just north of Mbabane, the capital city, is the largest single intrusion of pluton in the world. The earliest signs of life on Earth, fossilised blue-green algae which dates to around 3-4 billion years, can be seen in the Malolotja Nature Reserve. The unique Mbuluzi Cycad (Encephalartos umbeluziensis) and ironwood forests that occur in the Lubombo Conservancy, in the northeast of Swaziland are worth a visit for nature lovers.